Always replace the toothbrush after 6 months. Rub ice on the painful cold sores. Regular intake of plain yoghurt prevents the occurrence of cold sores. Topical application of vitamin E is another cold sores home remedy. According to the Centers for Disease Control (CDC), over one million people are diagnosed with cold sores each year. Usually, the herpes simplex virus acquired in childhood remains dormant and under conditions such as stress, anxiety or poor immunity system, it triggers the outbreak of painful blisters. Most cold sores go off naturally and do not require any treatment. The pain remains for a few days and subsides with the receding infection. According to a renowned virologist James F. Rooney of the Laboratory of Oral Medicine at the National Institute of Health, cold sores must be kept dry and clean. Serious medical attention is required if puss develops in the blisters, which is of course a rare occurrence. Always replace the toothbrush after 6 months. Toothbrushes are favourite sites for this virus to flourish, causing frequent recurrences of this disease. Store your toothbrush in a dry place since the humidity in the bathroom helps the virus to thrive. Rub ice on the painful cold sores as it tends to reducepain to a considerable extent. Apply tea bags or rub lemon balm and aloe vera gel on cold sores. This reduces the size of the sores, and alleviates the pain to a great extent. You can also take zinc tablets but under proper medical guidance and in restricted doses only. Plain yoghurt contains acidophilus bacteria. 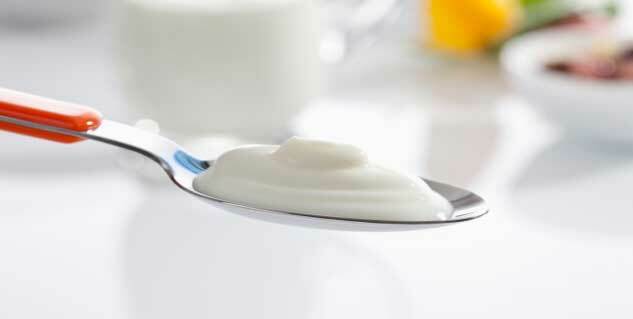 Regular intake of plain yoghurt prevents the occurrence of cold sores as it enhances the body immunity system. Take citrus fruits, rich in vitamin C to help reduce cold sores. Vitamin C tablets along with citrus bioflavonoids should be taken regularly to get best results in treating cold sores. Many people opt for the application of vaseline jelly on the cold sores on lips. Vaseline forms a protective coating producing a soothing effect. Cold sores do not pose any serious conditions except the formation of puss or high fever. Studies have revealed that most people get infected by this virus at the age of 9-10 and the recurrence of cold sores continues throughout the life.